Wild and crazy methods for transporting goods in China. Driving in China is much harder than driving here. We complain a lot about traffic here in Northern Virginia, but we have very few traffic problems in comparison to China. 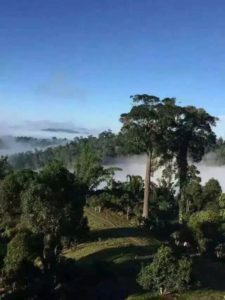 Our recent trip through Fujian and Guangdong, made the morning commute on Route 7 look like a leisurely stroll through a park. 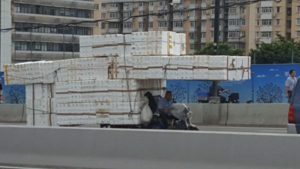 Here are some of our observations about traffic in China and few pointers if you ever feel like venturing through this country. Defensive driving is the standard in China. Outside the largest of cities, roads are shared with bicycles, mopeds, pedestrians, and animals. This wide range of travelers and speeds create a chaotic group of stop and go traffic at a volume that far exceeds any metropolitan area in the US. The large cities have banned bicycles, animals and mopeds. While this improves the flow of traffic, the shear volume of cars, buses and trucks on the roads create almost constant traffic jams. In areas with high pedestrian traffic, it is common to see roadways congested with people because the sidewalks are full. The drivers slowly inch along behind the walkers acknowledging they are far out numbered. For all the appearance of chaos, there were few visible accidents. Everyone and everything travels with a trust that their fellow travelers will do them no harm. Merges occur in a fashion that we would consider rude and dangerous in America. Cars cut each other off and pass in a fashion that would elicit a long blaring of the horn in the US. Yet our drivers and the other drivers acted as if nothing wrong had occurred. There were no horns, cussing or anger. It may help that most of the speed limits are low in comparison to the United States. However, you sense there is a deeper philosophy shared by the Chinese concerning behavior in crowds. Double solid yellow stripes are optional. Rarely do you appreciate the American attitude that you cannot trust other people while driving, than on your way up the mountain side as your driver, along with several others, cross a double yellow line on a blind curve to pass a tour bus. There were no shoulders, extra lanes or curbs, just a straight drop down. Yet, what we saw was that the oncoming traffic slowed and/or stopped to allow this type of passing to occur. This behavior was witnessed over and over headed to various tea fields. Lets just say tea never tasted so good at the end of a trip. 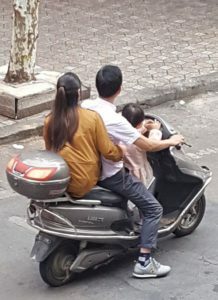 An all too common sight of the family commuter vehicle in China. To put it bluntly, do not drive in China if you are American. Their mass transit is wonderful and easy to navigate, even if you do not speak Chinese. There are plenty of affordable driving services that can get you around cities. From private drivers that often speak English, to taxis and the Chinese version of Uber, Didi. Just always travel with the addresses you need to go to in Chinese, including the hotel you are staying at. The Chinese Mid-Autumn Festival is one of the most popular holidays in China. 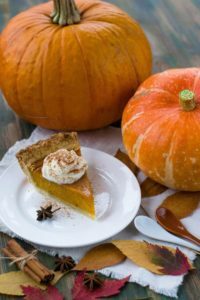 Much like America’s Thanksgiving, it is a holiday that is celebrated by the entire country where everyone travels to see family. However, moving nearly 700 million people in a condensed period of time is a huge undertaking. To help you put this in perspective, AAA estimated 49 million Americans traveled for Thanksgiving in 2016. 17 times more people travel in China during the Mid-Autumn Festival than in the United States for Thanksgiving. China’s mass transit systems are put to the ultimate test moving this many people round trip over the span of 10 days. The Chinese Mid-Autumn Festival has been celebrated since the Zhou Dynasty (1045-221 BCE). It started as a celebration of the moon. The Emperor’s believed that by giving gifts to the moon after the fall harvest would help guarantee a good harvest the following year. These offering where usually placed on an alter outside for the Moon to see and consisted of various foods and drinks, like tea. The practice of celebrating the moon spread from just the Emperor through the upper class and into the masses during the Tong Dynasty (618-907 CE). It wasn’t until the Song Dynasty (960-1279 CE) that a formal festival was established and celebrated by the entire country. It is to occur on the 15th day of the 8th month of the Lunar Calendar corresponding with a full moon, which means it can occur anywhere between mid-August till early October. The big food item during the Mid-Autumn Festival is the moon cake. This tradition began during the Yuan Dynasty (1279-1368 CE) as these dense cakes served as a means of transmitting messages concerning the rebellion against the Mongolian Emperors. 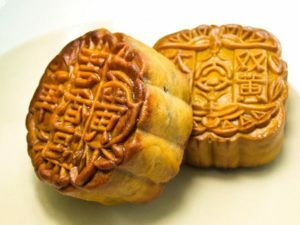 The moon cake is generally a round pastry with a thin crisp skin that is filled with sweet lotus seed and duck yolk paste. The sweet filling now comes in many flavors, including Green Tea or Matcha paste filling. There are also now savory moon cakes filled with various meats and nuts. Moon cakes feature a variety of fillings including green tea or matcha paste filling. So what do you drink with your moon cake? Tea of course. 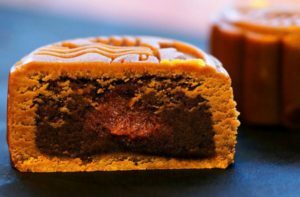 Puerh is resounding favorite as the moon cakes are often eaten in the evening after the family celebrations. 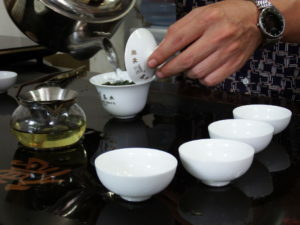 However, the timing works with the flavors as the earthiness of the Puerh counters the sweetnees of the moon cakes. As with all things tea, this is personal preference and can vary by family. Oolongs like Ti Kuan Yin are another popular choice to pair with this treat. Moon cakes can be found in Asian markets here in the US. 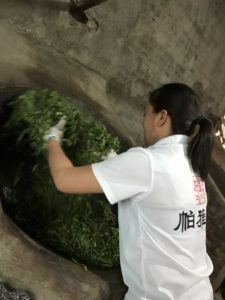 So if you are curious, go find some and enjoy them with your favorite Puerh or Oolong.